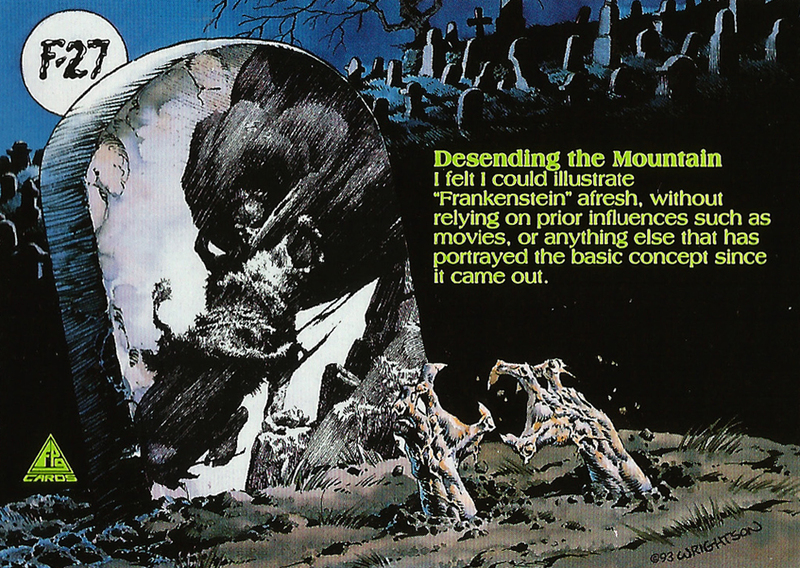 Bernie Wrightson’s Frankenstein Trading Cards #16-30 (1993) | 'TAIN'T THE MEAT… IT'S THE HUMANITY! 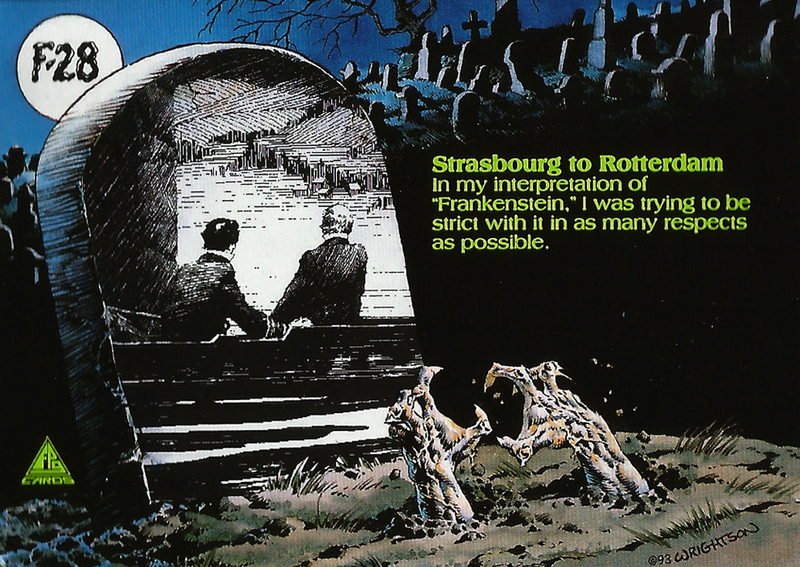 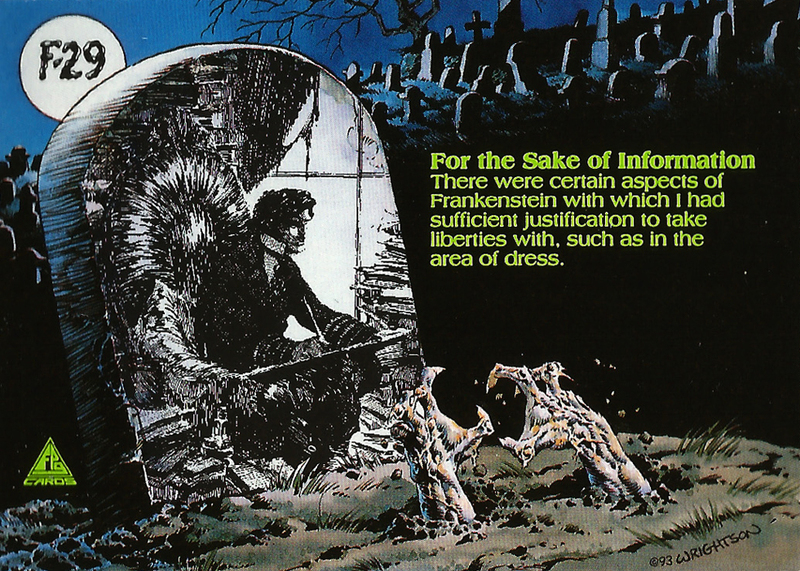 In the mid-1970s comic book artist Bernie Wrightston began working on illustrations to accompany one of his favourite books, Mary Wollstonecraft Shelly’s gothic masterpiece Frankenstein. 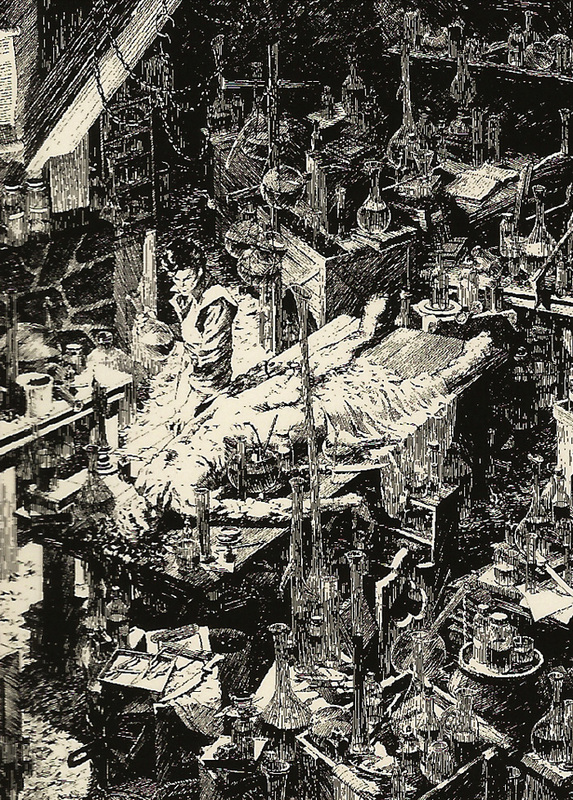 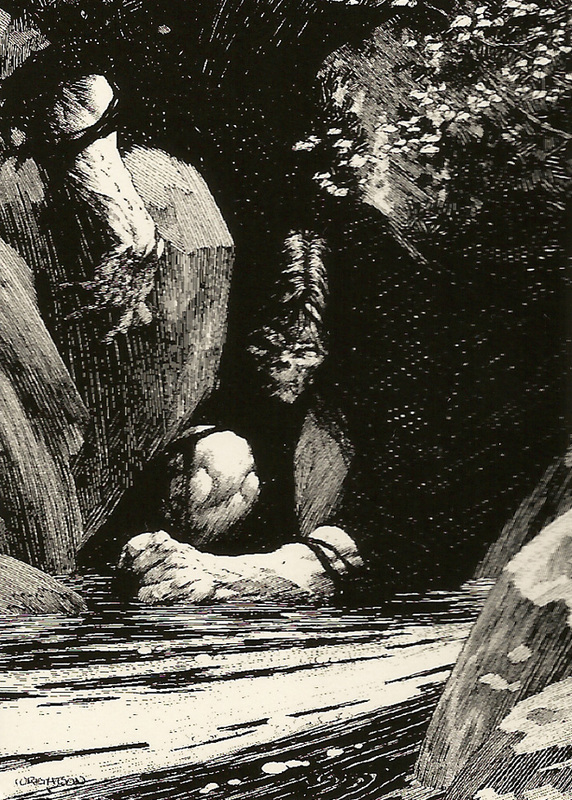 Wrightson undertook the project without a commission, doing so out of sheer love for the story, and over the next six years he would would create 50 atmospheric pen and ink drawings to illustrate the story. 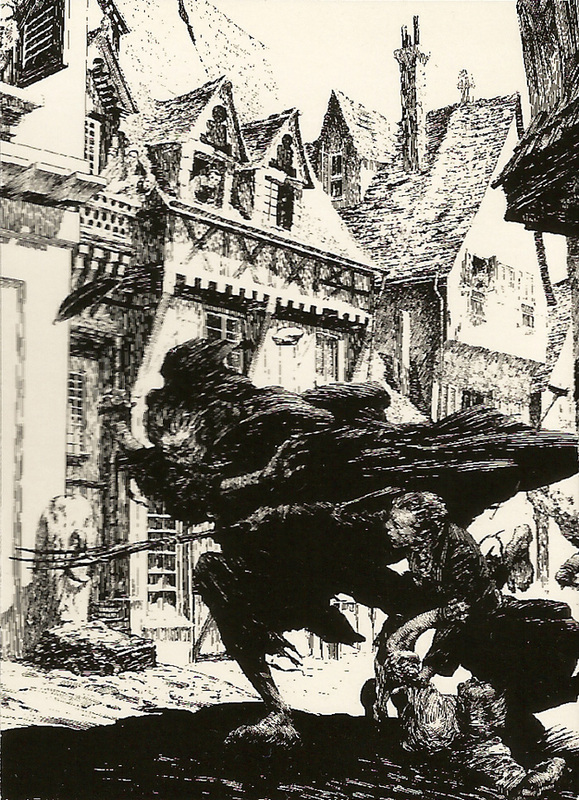 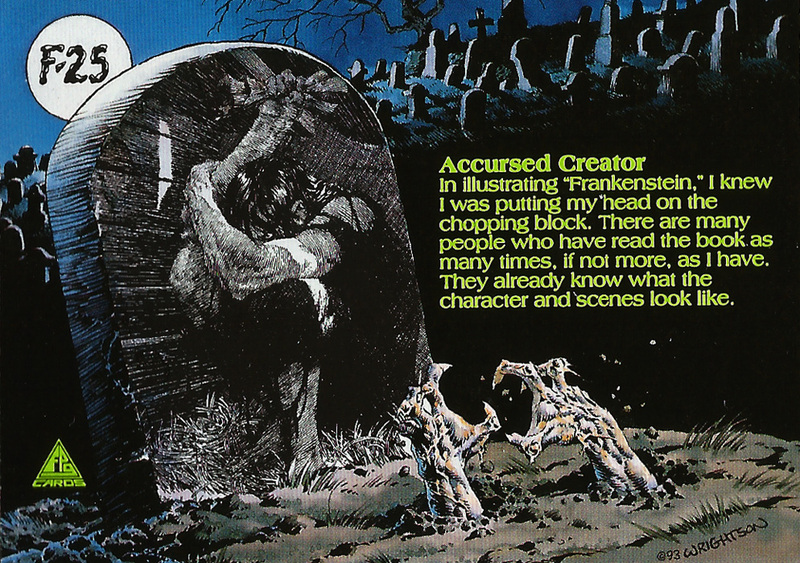 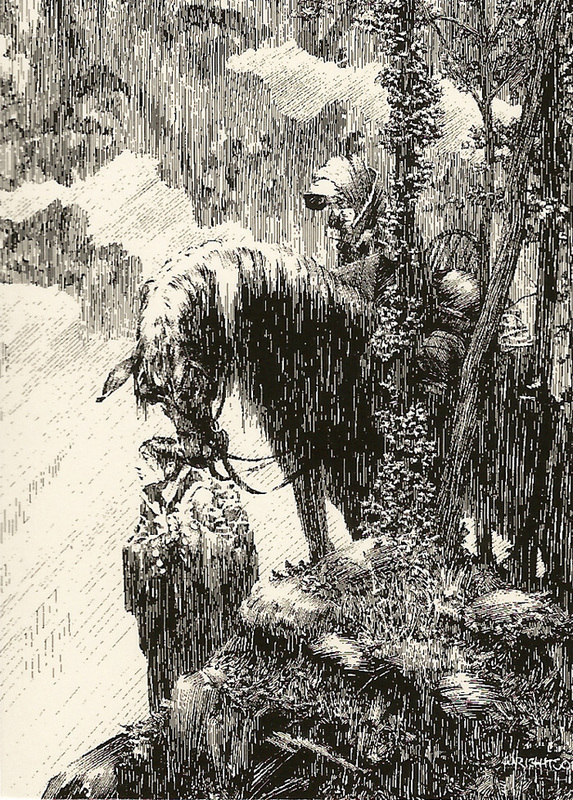 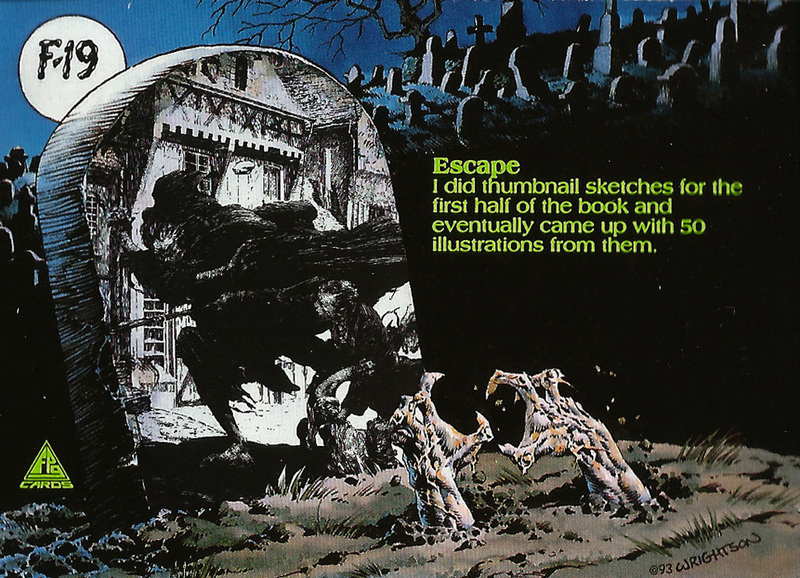 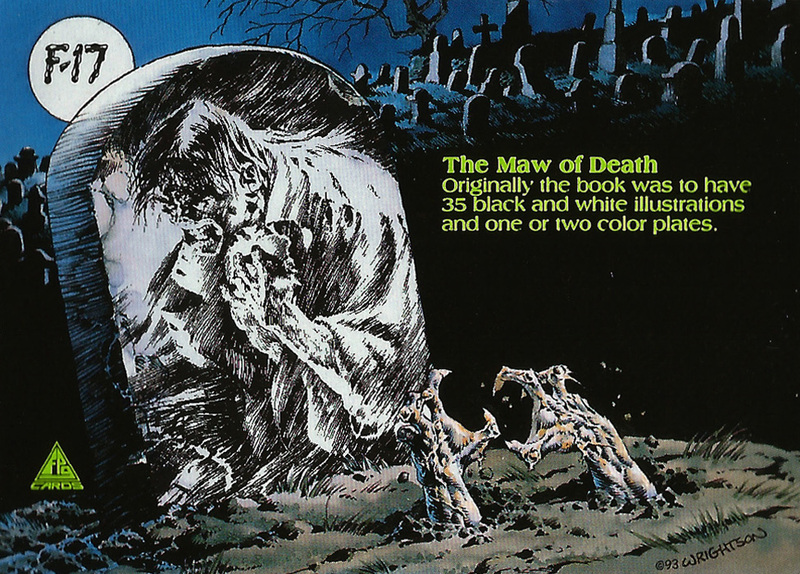 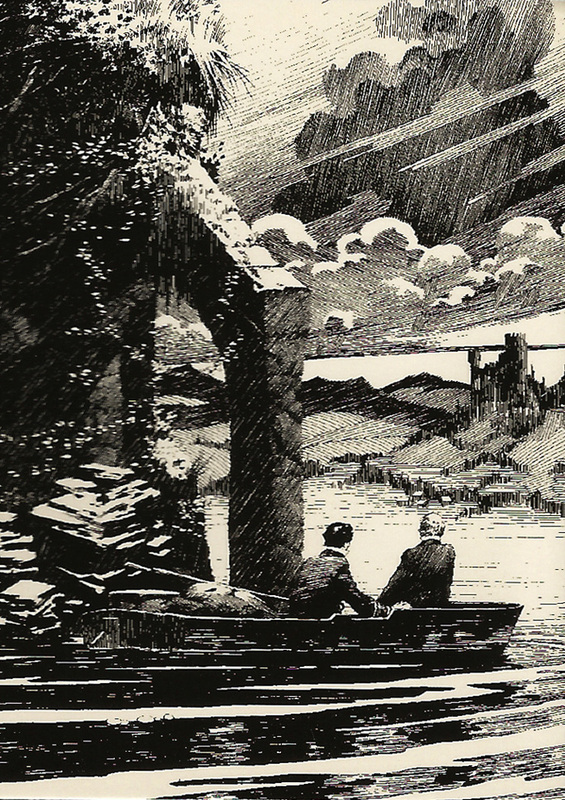 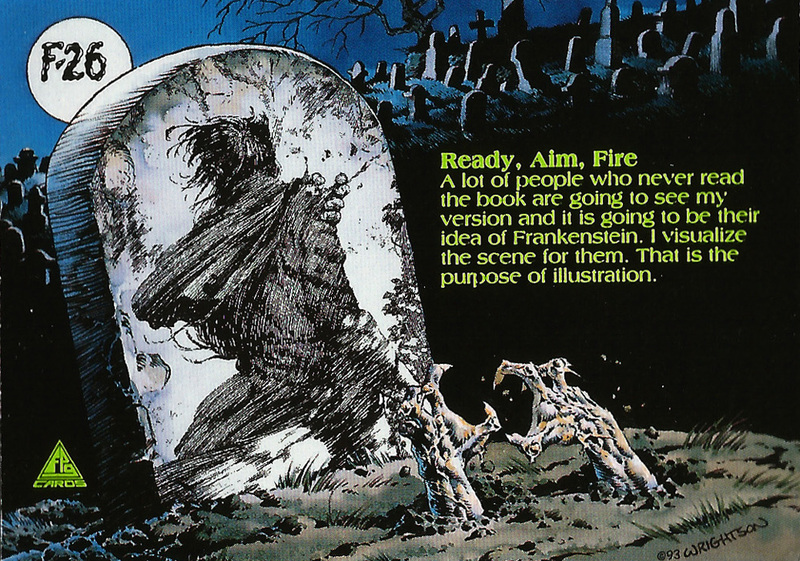 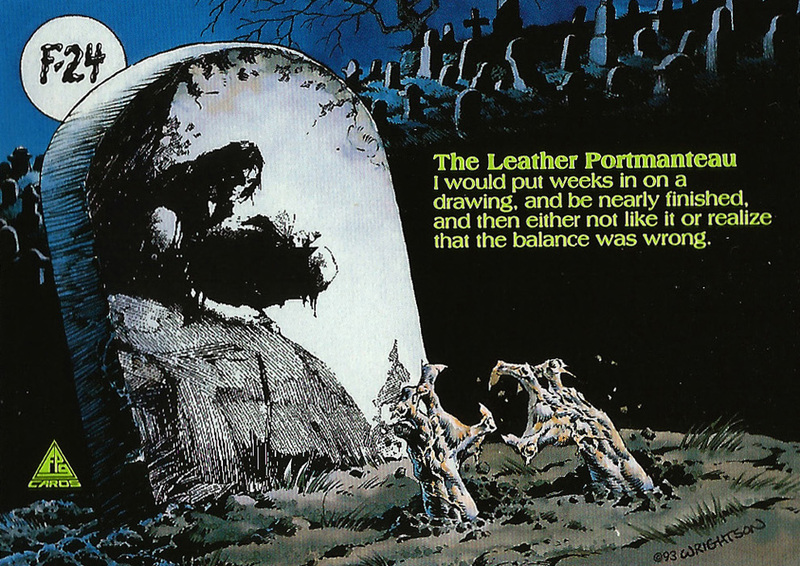 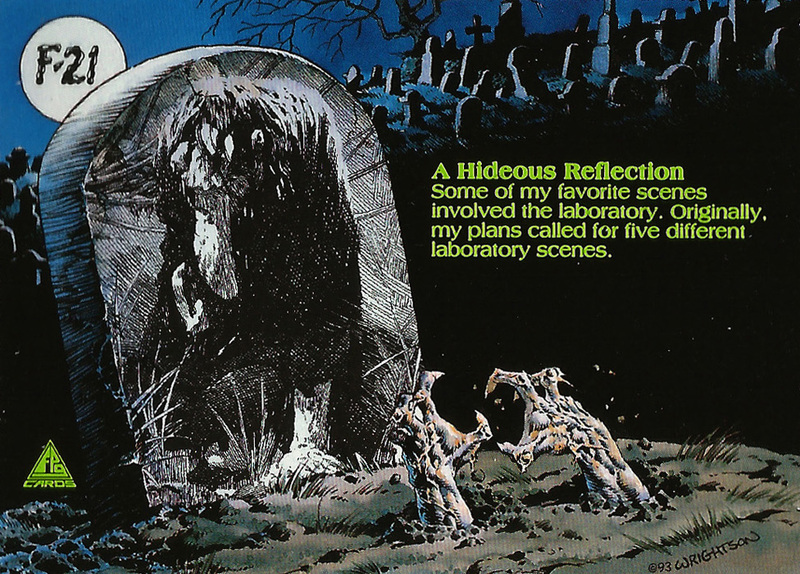 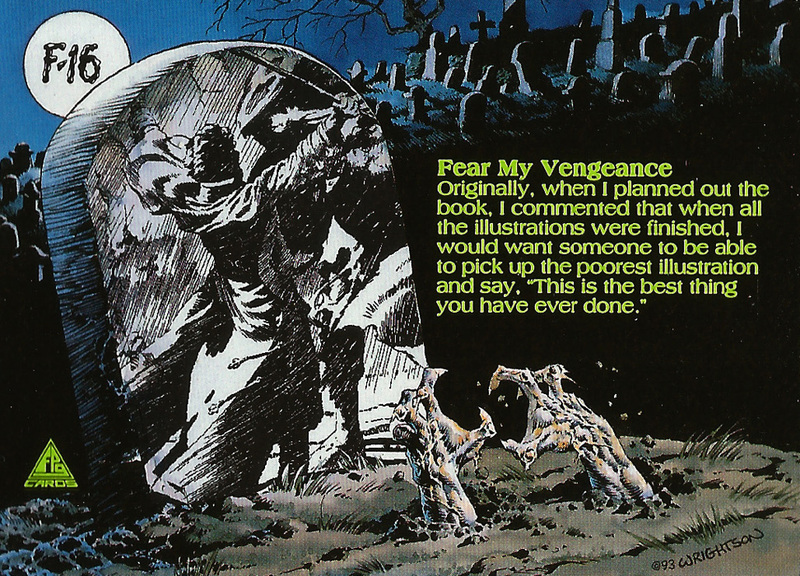 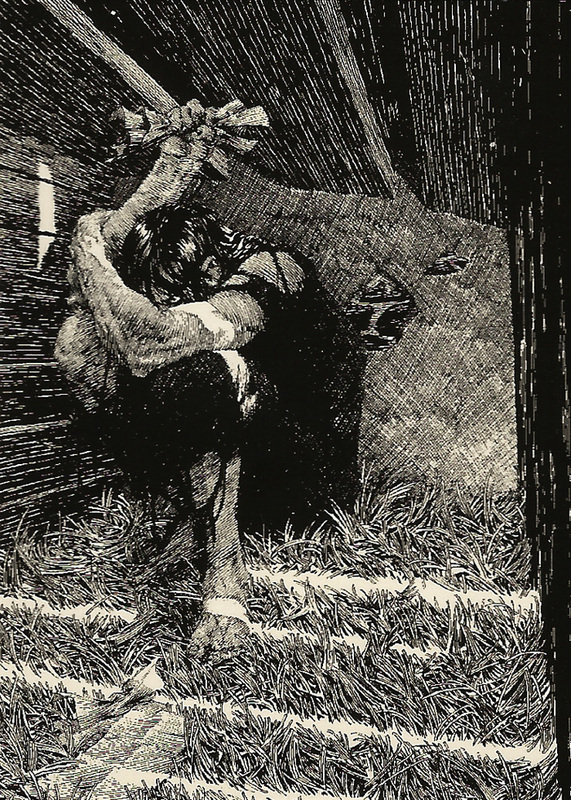 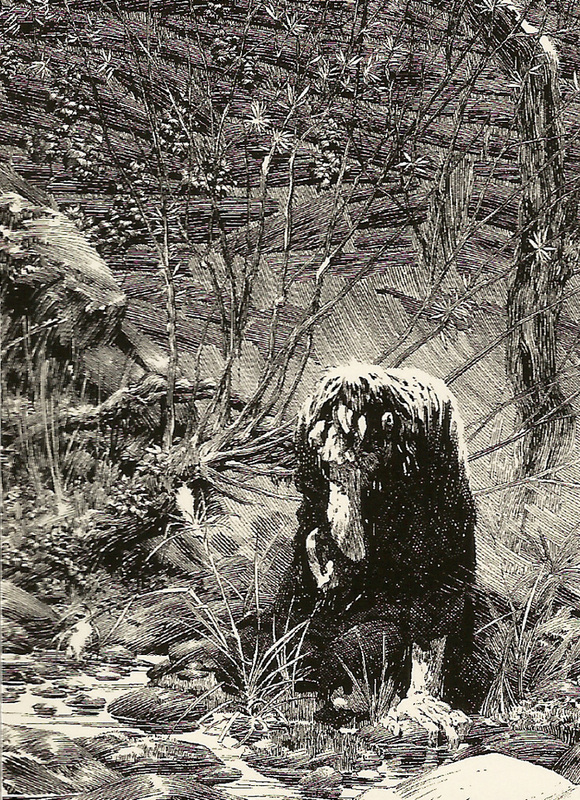 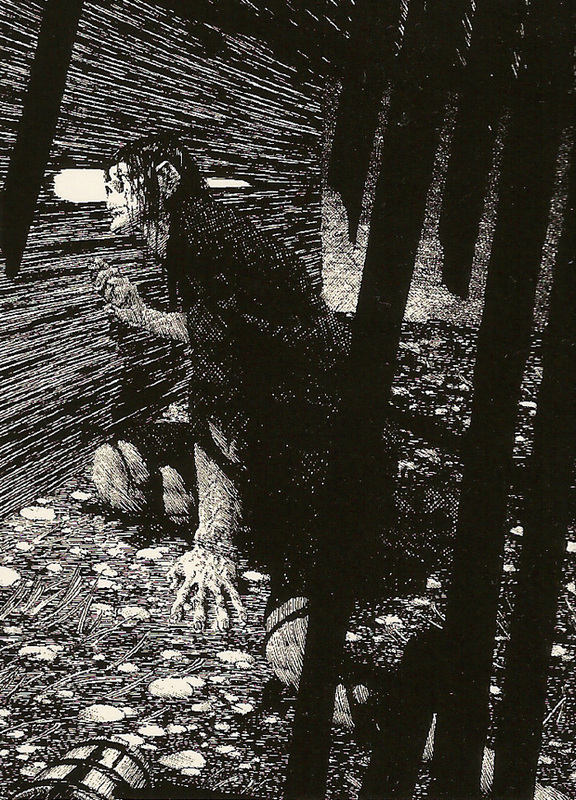 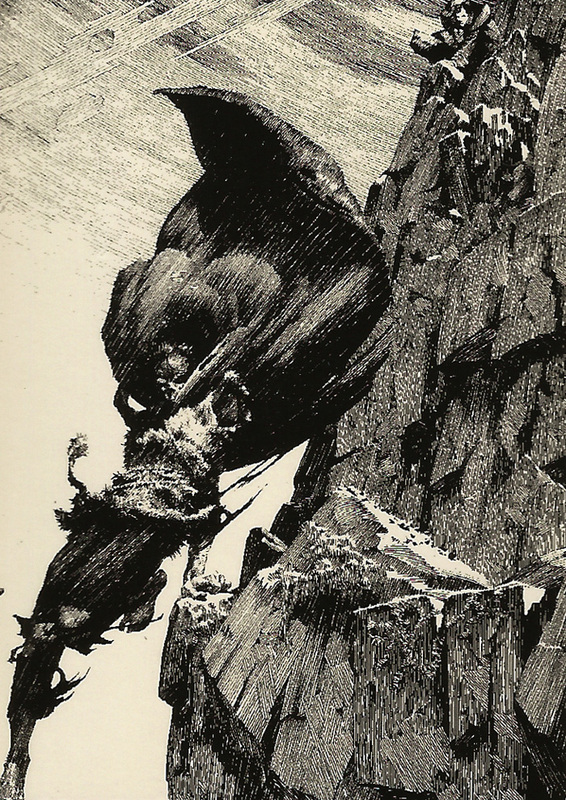 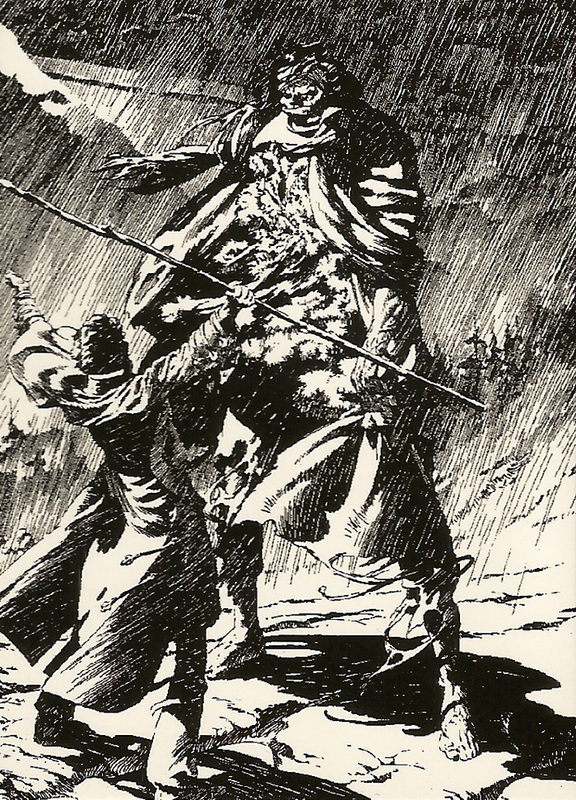 With artwork of such obvious high quality it was inevitable that Wrightson’s work would eventually see print – some of the illustrations were released as limited edition signed prints while others were collected into three portfolio collections (click here for a closer look at the third). 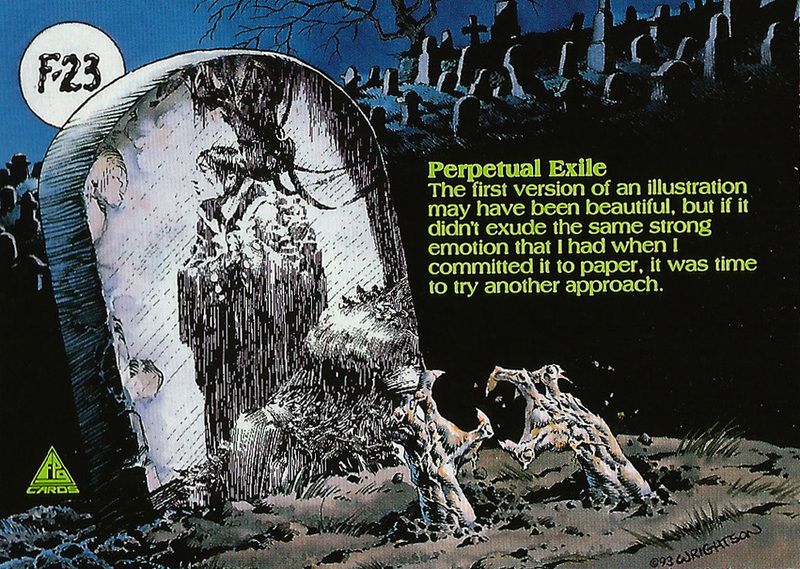 And in 1983 Marvel Comics published a special edition of the book (later reprinted by Dark Horse in 2008). 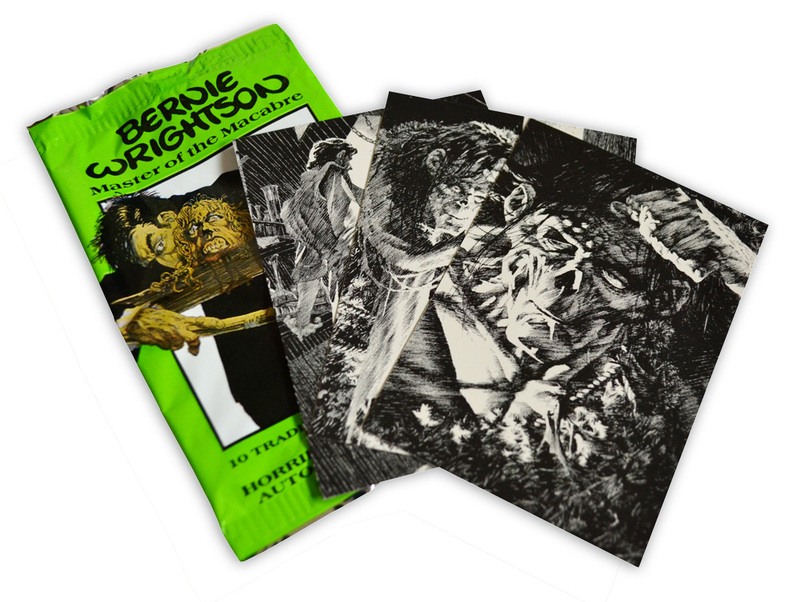 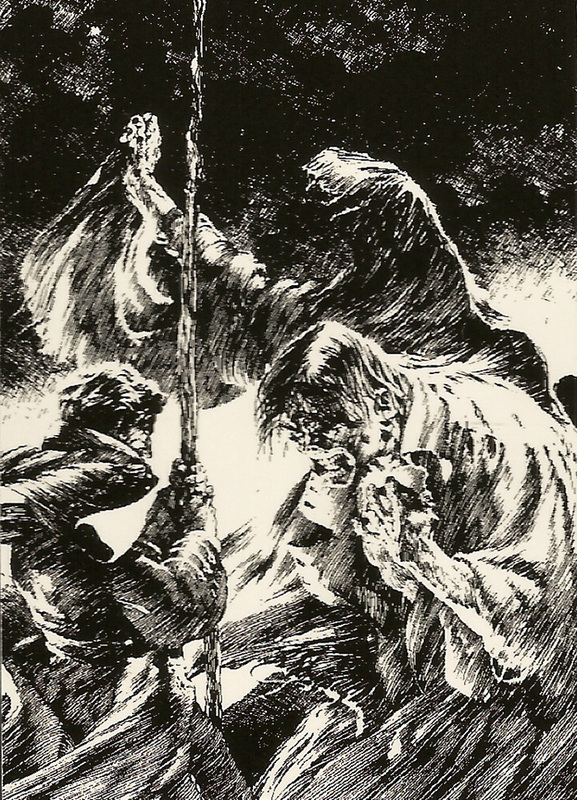 In 1993 the bulk of Wrightson’s Frankenstein drawings were included in the Bernie Wrightson Master of the Macabre trading card set released by FPG Cards. 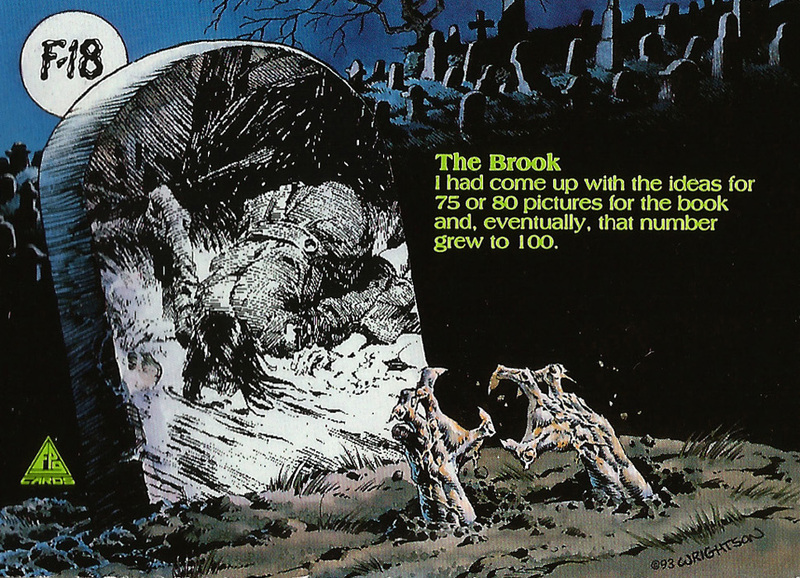 Each pack contained ten 3.5 x 2.5 glossary trading cards featuring a drawing by Wrightson on one side and a short caption on the other. 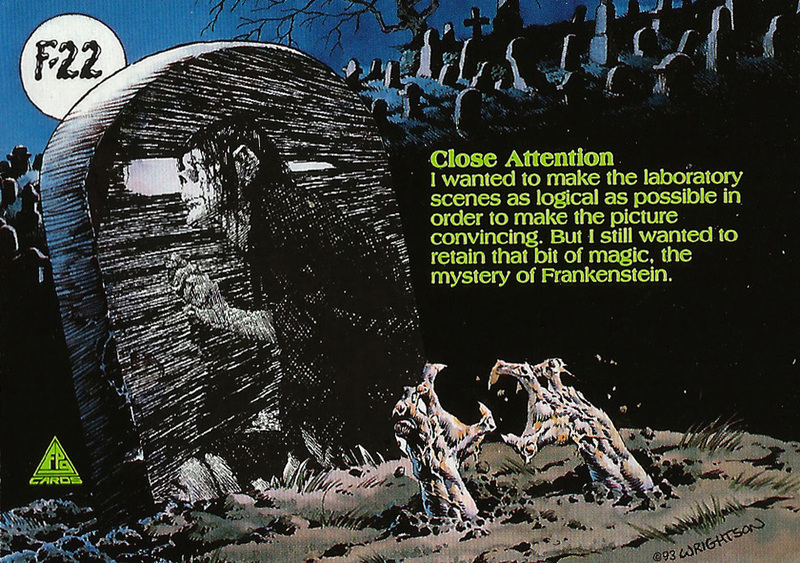 The Frankenstein cards were actually a 45 card subset of the main 90 full colour collection. 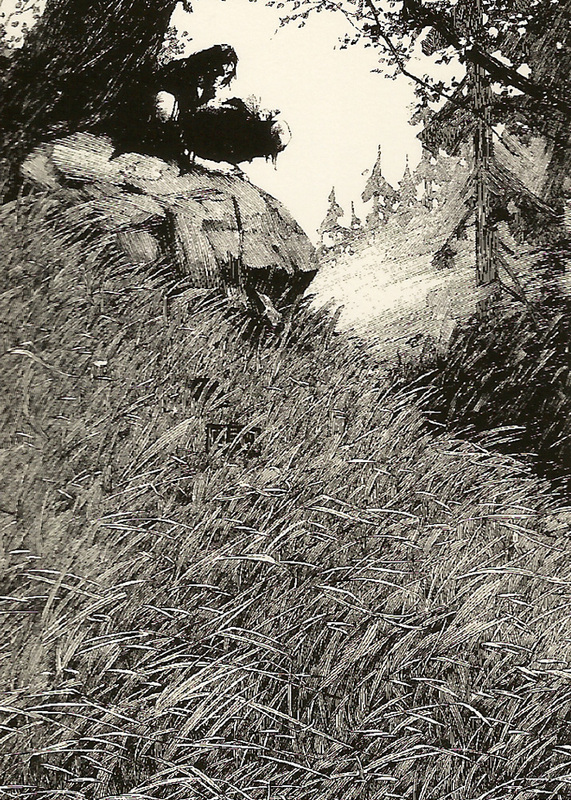 There are some great drawings in this second batch of cards (click here for cards #1-15). 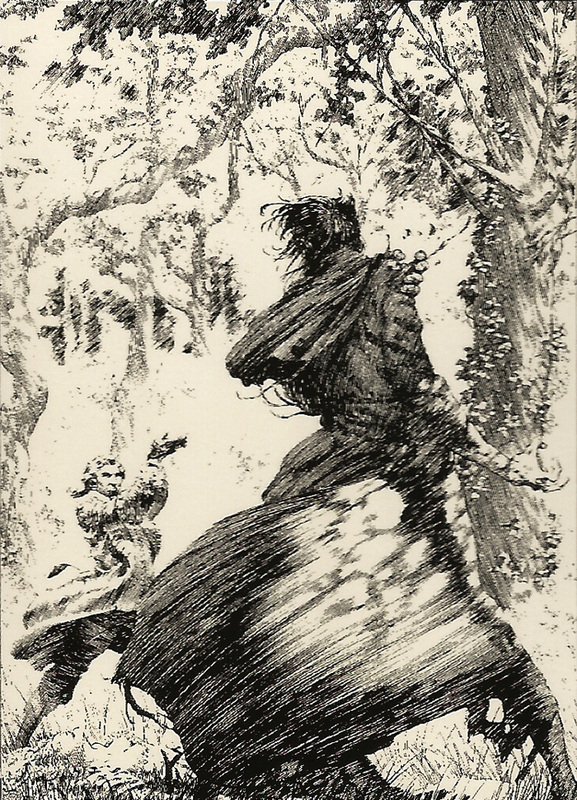 The illustration for card #16 has the feel of a classic Victorian-era etching while card #24 has a wonderful brooding quality to it. 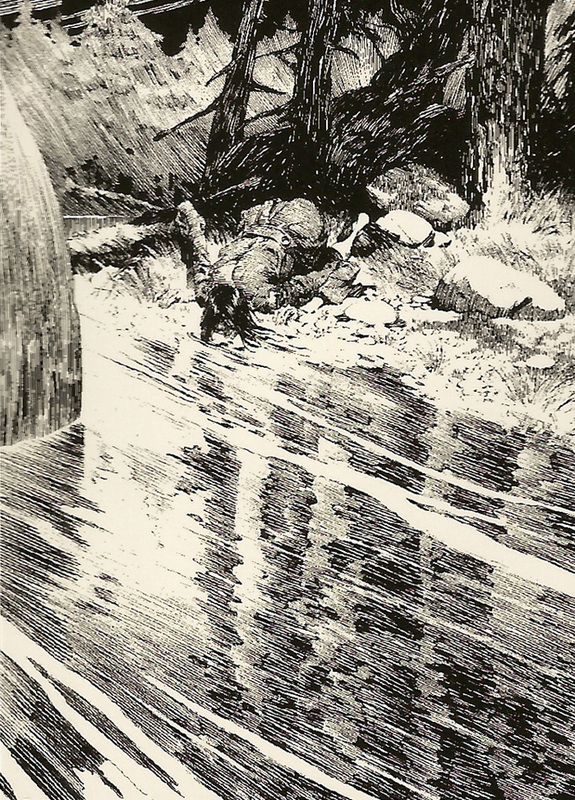 But my favourite of this selection is card #30, the level of detail in the drawing is breath-taking. 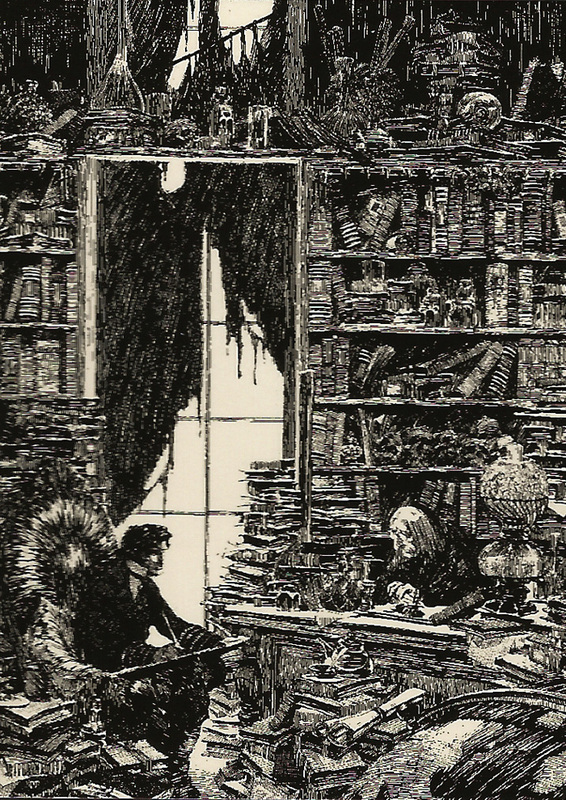 Small wonder it took Wrigtson almost six years to complete the project. 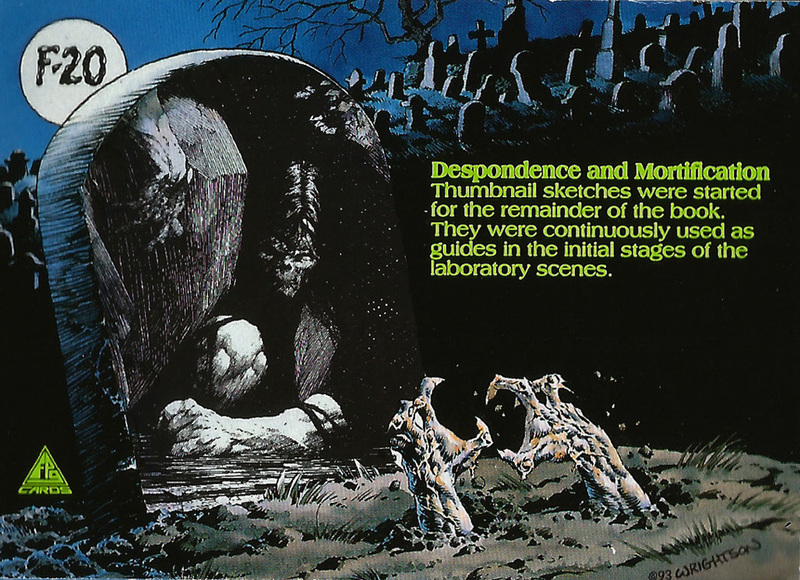 Here are the next 15 cards from the set, both the front and back . 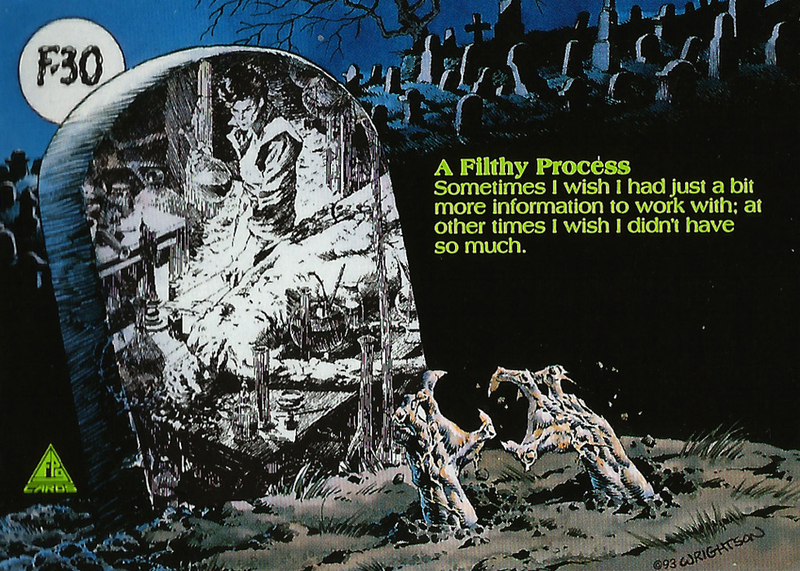 I’ll post the final batch of cards in the next week or so.